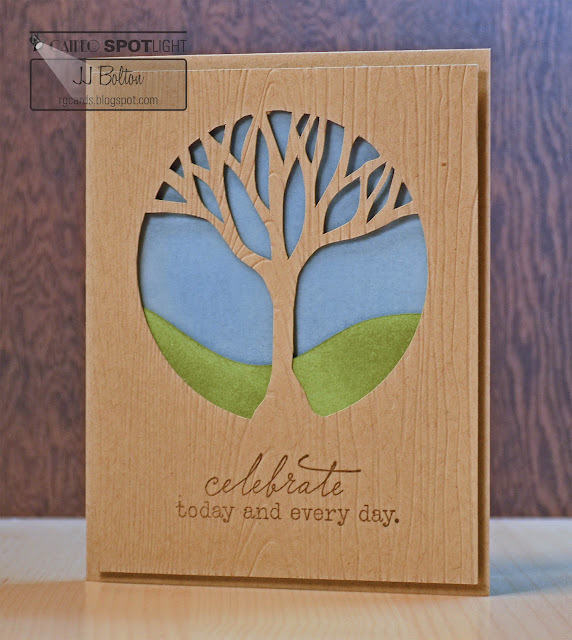 For this card, I used a tree silhouette file from the Silhouette store (design #17677) and merged it with a circle shape to create a window. The rolling hills background was also done on the Silhouette (easy to draw free hand with the curve feature). I enjoy making my own cut files most and rarely use purchased files as is. That's the case with this tree. In addition to merging it with the circle, I did a bit of tree trimming! By that I mean, I did some point editing of the branches to get rid of the smaller cut areas and to reshape the tree trunk. So easy to get exactly what you want! I used vellum (with a bit of blended ink) for the sky background and cardstock (with more blended ink) for the hill piece. To give it one last detail, I debossed the cut overlay with a woodgrain impression plate. Texture always seems to make a card look finished! 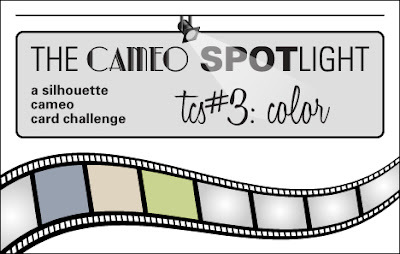 Click on over to The Cameo Spotlight challenge site to see more challenge Silhouette creations from the TCS DT! 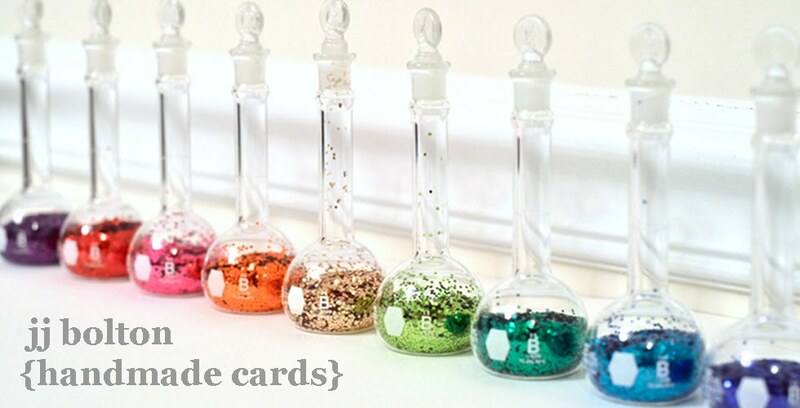 Then it will be your turn to create your own card or tag and link up:) Can't wait to see what you create! 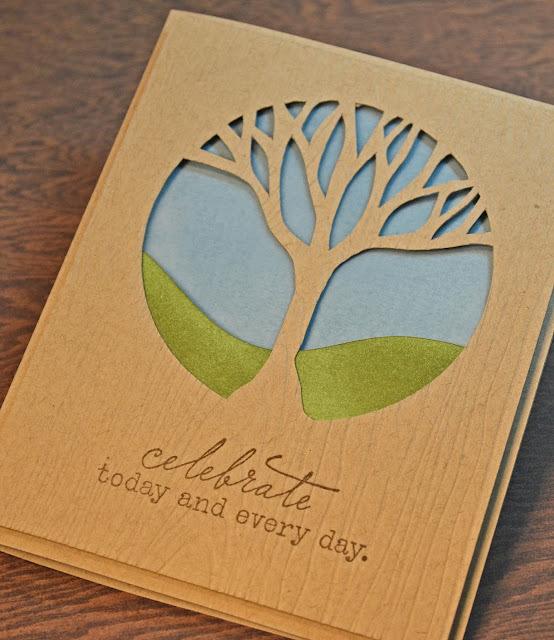 That is lovely - the cut out is so unusual and perfectly executed. Puts me in mind of one of those old 1930s radios. Great job altering the file JJ! This card is gorgeous!!! The sentiment pairs perfectly with it too. 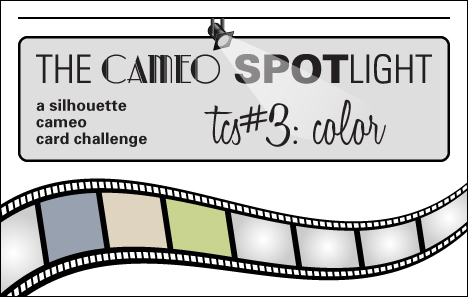 I need a cameo STAT! i love this card, it is so calming. I love that this is so simple but so full of detail at the same time. So so gorgeous! Too often I forget the texture! I love the debossing on your card. Wonderful merging of the tree and circle, and beautiful background! What a great card and I love the landscape you created through the aperture. The woodgrain and the felt grass? Love, love LOVE it!!! totally loving all your details!